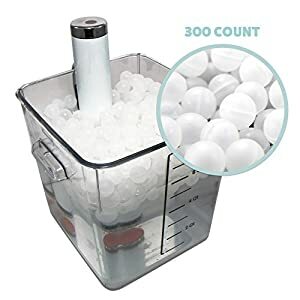 Auskit Sous Vide floating Balls for your Anova, Joule, Nomiku, Sansaire Precision Cooker / Immersion Circulator. 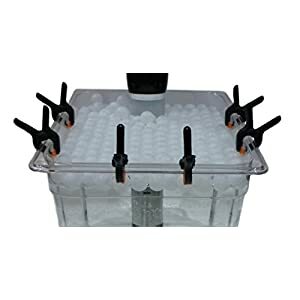 Simply fill your water bath in any type of container to form an instant heat blanket. Just go read a book, play with your kids, or enjoy uninterrupted sleep, without worrying about refilling the water. Lower energy loss, lower electricity bill. 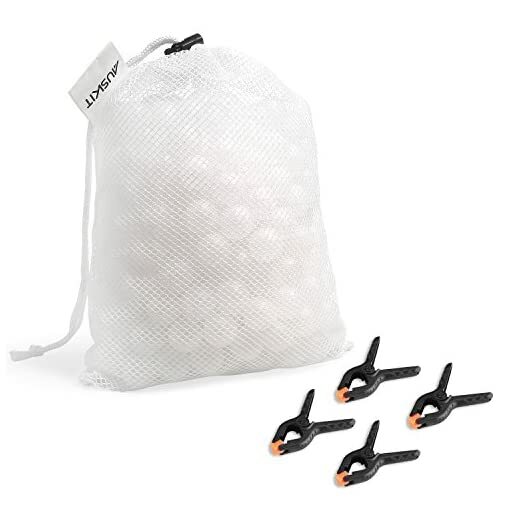 The water balls helps to decrease evaporation, speed up heat up time and lower your electric usage thus lowering your power bill! AusKit Balls to minimize heat loss. And conquer that 72 hour sous vide braised short rib that will melt in the mouth. make your guests deliciously full. Make sure that your water bath doesn’t experience temperature fluctuations. Keep that heat in for consistent water temps. 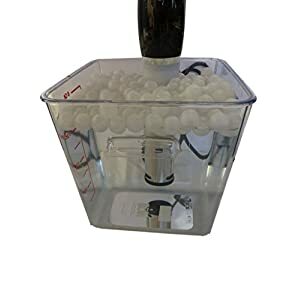 completely and evenly cover you water surface while your food consistently cooks underneath your fun new bobbing balls. No hassle, 30 Day Returns through Amazon’s Customer Service. 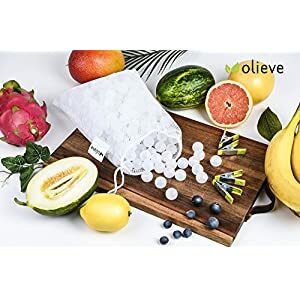 Try it risk free and taste the wonders of sous vide cooking! 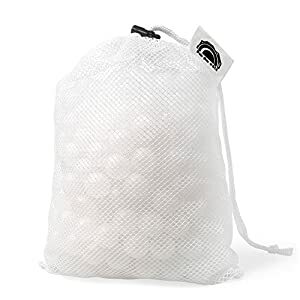 ★Minimize Water Evaporation and Energy loss: Auskit Sous Vide Balls creates a “water blanket” that allows your food to Cook for hours without adding water to sous vide container, hardly any water evaporates during the cooking process. No more middle of the night water level alarms. ,sous vide rack will be easily accessible. ★Acts as lid to reduce splashing hazard: A helper for multi timing required recipes. 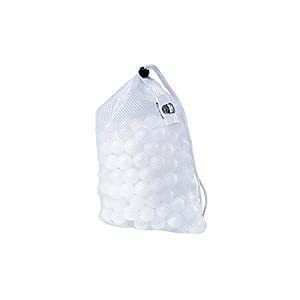 sous vide cooking ball are compatible with receptacle of all shapes and sizes. 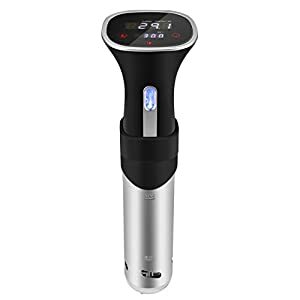 Compatible With Anova, Nomiku, Sansaire and PolyScience Sous Vide Immersion Circulator and other professional sous vide cookers.，workable for 12Qt, 18Qt, 21Qt containers. 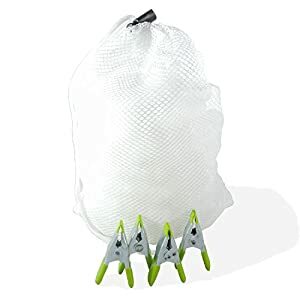 ★Storage drying bag with clip kit bundle: Each water blanket set includes 250 x 20mm balls.Easily and effortlessly store your sous vide water balls in your AusKit mesh drying bag，and come with the clip for attaching your sous vide bags. 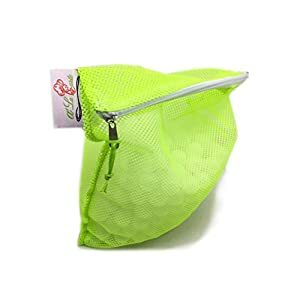 ★FOOD GRADE BALLS, 100% BPA FREE: Premium quality 100% BPA FREE polyethylene to ensure healthy and safe cooking for your family; compare the difference. 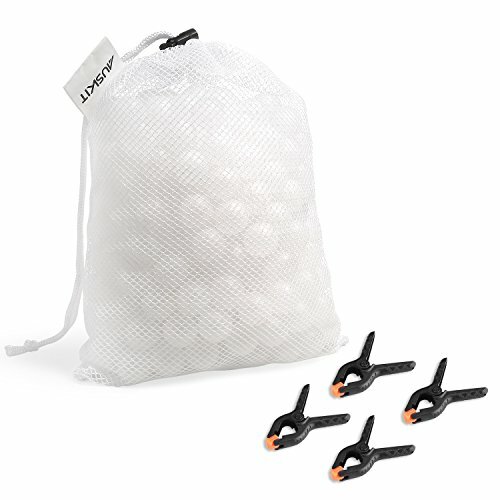 these balls help your bath get up to temperature more quickly . safe up to 220°F, Cook for hours or days without adding water.